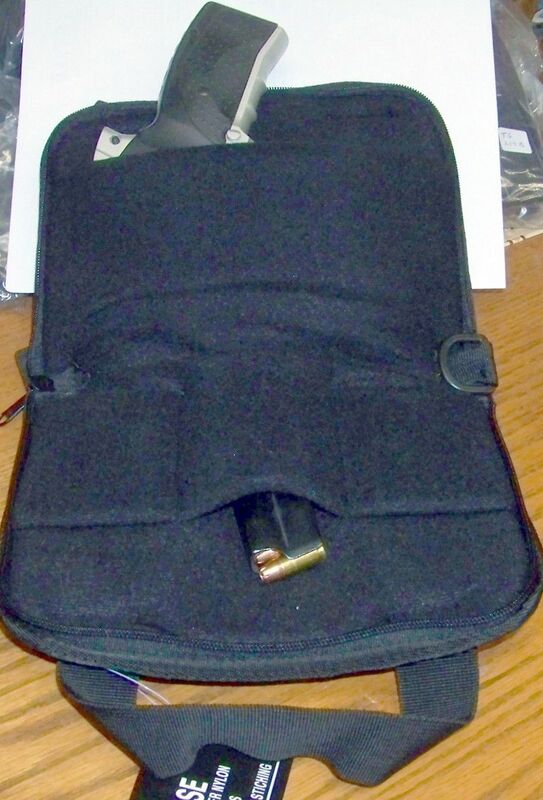 Tough 1000 Denier Nylon outer shell w/ thick foam padding Soft lining to protect your gun well. Comfortable handles. Size : 9" x 7", Colors: Black Only Gun must be under 8 inches in length and 5 inches in height to fit. Interior is fully padded and has one large pocket for your pistol and 3 smaller for magazines. Outside of case has wrap around loop handles and a small outside zippered compartment. Fits most 380 and small 22 pistols. Will fit some small 9mm pocket guns.